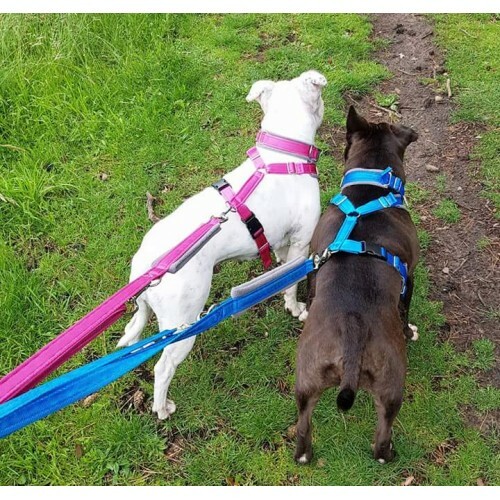 Padded adjustable harness, available in 7 colours. 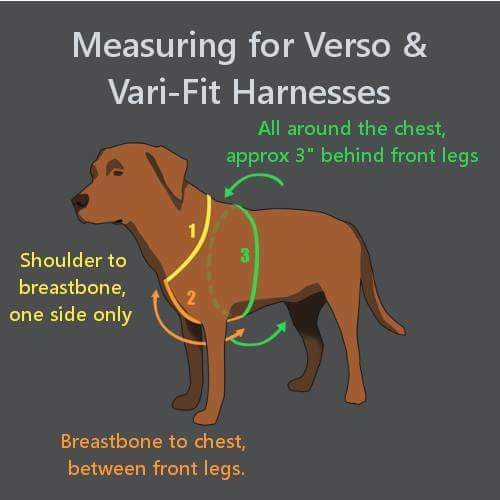 Size large (25mm) - 1: 8-12" 2: 8-12" 3: 22-30"
The Vari-Fit harness is a fully adjustable version of our popular Verso harness, with a front ring as standard. 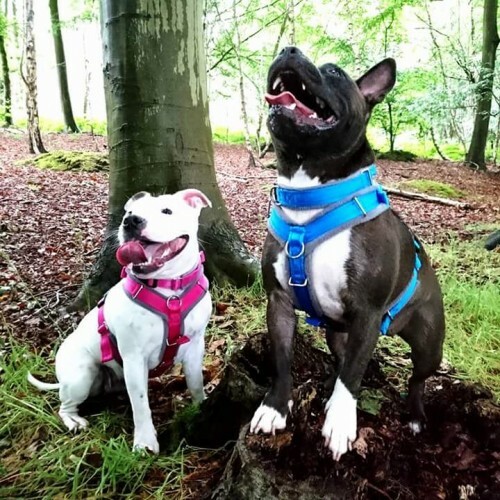 Fleece padded on the neck, breast and chest, this harness offers comfort alongside flexible sizing, making it suitable for growing dogs or those prone to weight fluctuations. 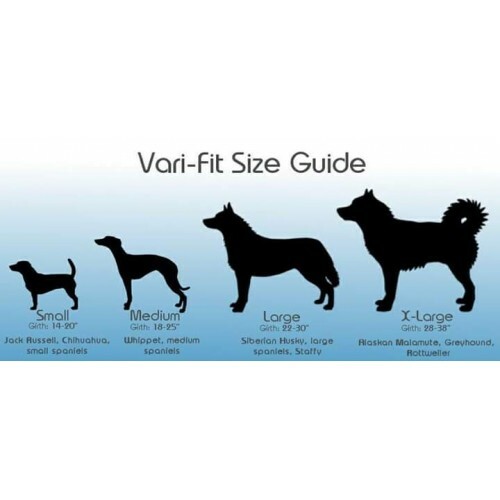 Front rings can be useful in training dogs to walk on the lead and in handling reactive or strong dogs. 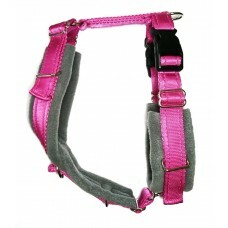 For best results ensure the harness is fitted snugly and use with a double clip police/training lead. Dispatched in 7 working days.